This Custom built 3 bedroom 2.5 bathroom in the highly sought after Cypress River Plantation is a must see! 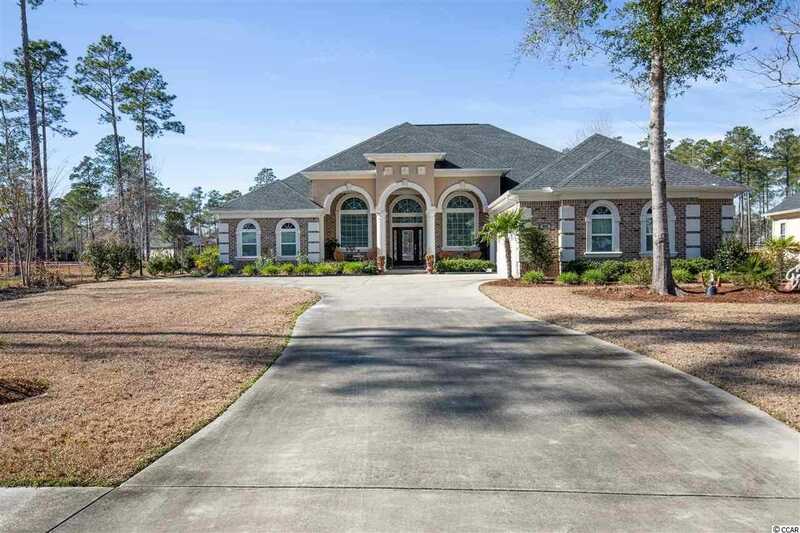 All brick home with stucco accents sitting on almost an acre lot in this beautiful Intra Coastal Waterway community is hard to find!. You will notice upon entering the high ceilings and views of the community lake from four large windows in the living room area. Home is full of upgrades and also coming FURNISHED with decor, Outdoor furniture and TVs!. Some of the features to point out is top of the line Bosch appliances, Surround Sound throughout, Two gas fireplaces and the back yard area is equipped with electric/water lines for the oasis and in-ground pool you have always wanted! Not only is Cypress River located on the ICW with private boat storage/launch, Resort like amenities, 24hr/gated security but Award winning schools as well! Located close to all of Myrtle Beach and surrounding areas have to offer. Quick drive to Market Commons and Murrells Inlet Marsh walk for all your dining, shopping and entertainment needs. Schedule you showing today as you will not be disappointed. SchoolsClick map icons below to view information for schools near 655 Chamberlin Rd. Myrtle Beach, SC 29588.